About a week ago, we noticed our water pressure had dropped considerably. I called the City water folks, and they came out to look at it. After he managed to get a new meter in place, he warned me that it would break too. 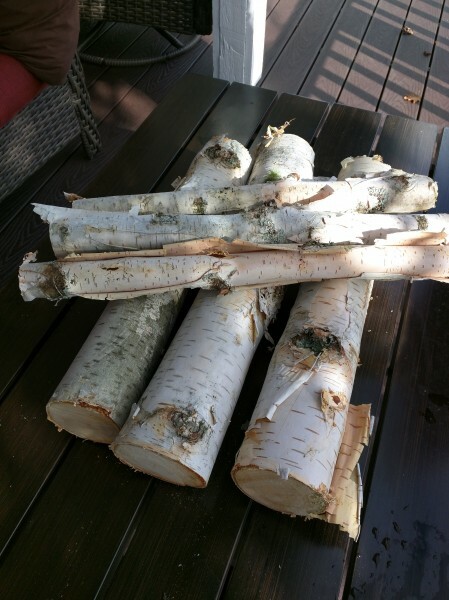 “These birch trees love water,” he chuckled as he drove away. We decided to aggressively prune the tree in preparation for possibly removing it altogether. I was all set to throw away the ‘waste’, until some suggested it has value in the home decoration market. So we’re offering it for sale — who knows if anyone will buy it? This Spring, David purchased a car from his cousin, Timothy. Such a great deal for David — a running car for a very cheap price. It has been a huge blessing to him, commuting to his job/school/cross-country practice. Unfortunately, one of David’s brothers borrowed the car, and rear-ended another vehicle (first rain in a long time, roads slick). The damage was considerable, and we don’t carry collision on David’s car. Happily, David’s friend and youth leader is knowledgeable about cars and helped him replace the hood. David replaced the headlights himself! The car is nearly fixed. Hooray for David! Dave the brave, car mechanic extraordinaire. On Thursday Sarah passed her driver’s ed driving test – the last step of her driver’s education program. Wow! Such joy and relief!! 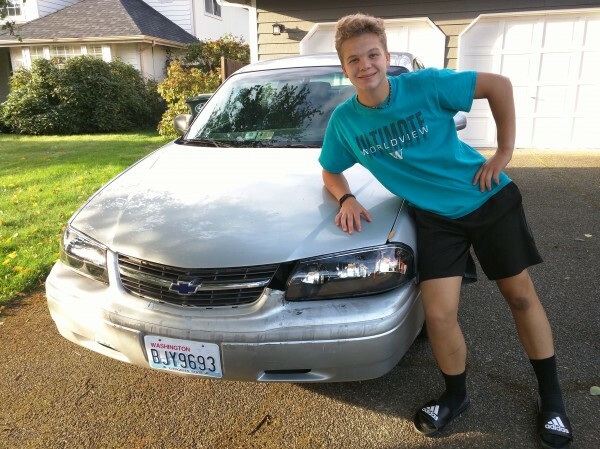 Sarah is an incredibly careful and cautious driver, and she gave great attention and time to the work for her class, spending hours on her homework and logging drive time. Can NOT believe my youngest is 16 and can get her license in 6 months!!! Proud of you, Sarah!! Last Sunday, our oldest daughter Rachel and her fiance Tim were married, in the sight of some 350 witnesses, and in the smiling presence of the Lord. It was a beautiful, glorious and fun wedding, abounding in the fellowship of the Holy Spirit. Rachel and TJP (have to keep all the Tim’s straight) were gorgeous and handsome (you can figure out which was which) and their joy (and that of their friends and family) could be palpably felt throughout the ceremony and reception. 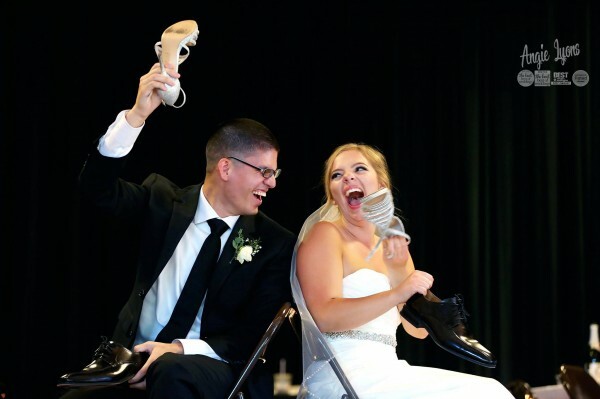 Typically, every wedding has at least some minor disaster, but if there were setbacks, they were easily conquered. The enjoyment of the guests was only rivaled by the smiles on the faces of the wedding party, as each vied with the other to be the most gracious. Our own Pastor Jim conducted the service, and Kelsie (Josh’s beloved wife), Ray (father of the groom), Lizzie and Tarah (sisters of the groom) all sang, with James (the son I never had, but always wanted) accompanying on the piano. Benaiah (sweetest grandson ever) was the ceremonial ring bearer, and Deborah and Anna (two of Tim’s cousins) stole the show as flower girls in their own miniature wedding gowns. It is perhaps not surprising that Jesus’ first miracle was at a wedding reception, and the Wedding Feast of the Lamb is the name given for our eternal celebration, when we at last can live with God, enjoying His presence forever. If there is one thing that God approves, it is the permanent joining of a godly man and a godly woman in Holy Matrimony. We had intended to have the wedding at our own church, but the renovation project of our sanctuary didn’t finish on time. So we cast about and found a nearby church that was willing to let us use their building. 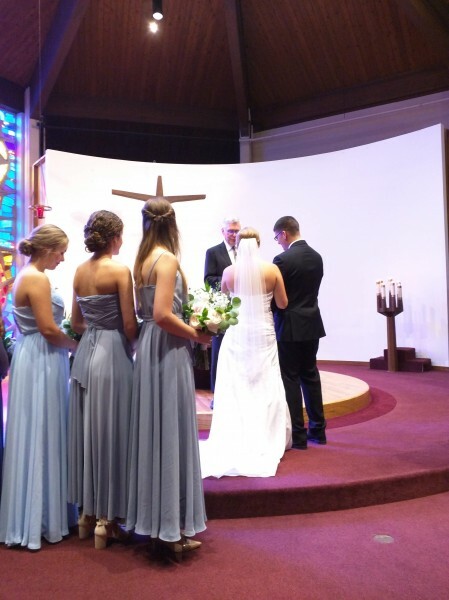 We sort of expected for them to be difficult to work with, since we weren’t members at their church, but instead they bent over backwards for us, helping us to coordinate the wedding, letting us have early access to the gym, and providing volunteer servers to help with our reception. Truly, it is good to be part of the family of God. It is a difficult thing to give a daughter in marriage. Rachel is hardworking and frugal, so the expenses were less than I expected, and several relatives and friends helped considerably with the costs. No, the difficulty comes in handing over the care and protection of your little girl to another man. Even though I have known TJP for much of his childhood and young adulthood, there is still a terrifying moment when one stands on the precipice and looks over, wondering if this man (about to marry your daughter) will cherish her enough to make her happy. 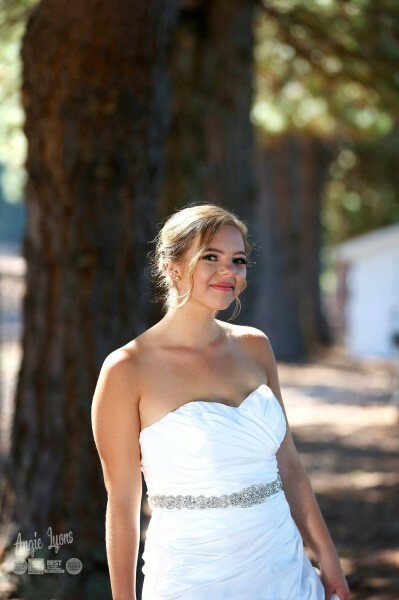 At the end of the day, I had a few moments to reflect on the whirlwind sequence of events, and I remembered that the same God, who has walked Rachel down the aisle of her life, continues to walk with her as a grown woman and a wife. Although my stumbling role in her life has diminished considerably, God will continue to work in and through both Rachel and Tim, and will present them to Himself as radiant offerings of praise. I think I can live with that. I was deeply impressed with Tim’s groomsmen. As the Japanese proverb says, “When the character of a man is not clear, look at his friends.” They were obviously solid, godly men, and they represented phases of his adult life beyond what I had observed. Knowing that Tim’s integrity and character were consistent over the past ten years really made me less worried about giving him my daughter’s hand. 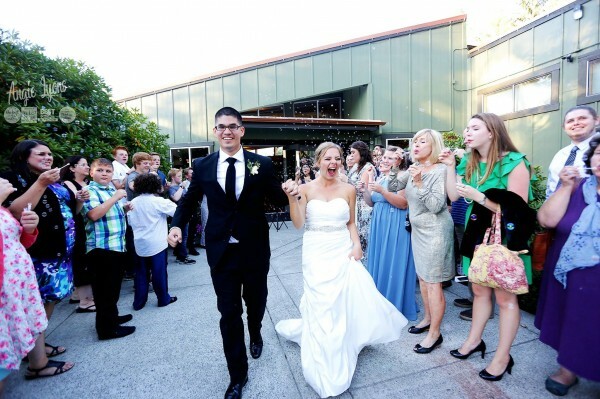 I was so proud of how Rachel and Tim conducted themselves toward their guests. 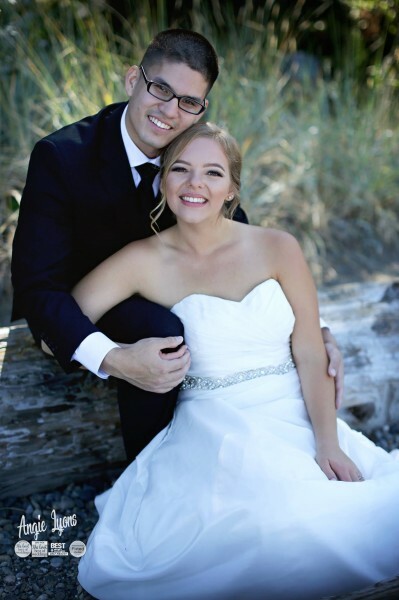 Some brides are so intent on being the focus of the event, that they treat their guests as second class citizens, but Rachel and Tim took every opportunity to give glory to God by making our friends and family the focus of their own efforts. They took nearly all their pictures in advance, so the guests didn’t have to wait before the reception. They released the ceremony attendees by rows (while sitting) so they didn’t have to stand in line to pay their respects. Even during the reception, Tim and Rachel played a fun shoe game that focused on the entertainment of the guests, rather than a self-serving activity. After the reception, Tim and Rachel snuck back to our house and spent a little more time with their groomsmen and bridesmaids, giving our family a final chance to say goodbye. It really helped me to have peace about them driving off into the sunset, as a married couple. But how can we let our little girl go? How can my little Gingersnap be all grown-up, swooped thousands of miles away, starting her own life with TJP? Who will serve as our “riot leader”, watch Mega Mind with David, and giggle with Sarah late into the night? Who will talk fashion with Daniel and push him in making good choices, or provide Kathy with a shopping buddy and a steady supply of coffee beans? Rachel has often been the hub of activity and relationship in our home, and her bright love and ready laughter will be sorely missed. My little girl…all grown up. Now they are in Florida, where TJP will soon graduate from his Air Force training; then on to Barksdale Air Force Base, near Shreveport, Louisiana. Having Rachel home for the summer was pure gold, but now we’ll have to scheme and plan for time with the newlyweds, as they establish their new identity as a family of their own. A toast to the bride and groom! On Saturday I attended the annual ‘Massing of the Colors’ at a high school downtown. I estimate as many as 150 military units and social organizations were represented; in most cases each had a U.S. Flag and a flag or banner identifying their group. The I Corps Army Band played a medley of patriotic-themed songs, and a Major General gave a short address about two military heroes. We attended in support of the Refuge, the retreat center founded and operated by my parents – they were competing for a participation award (which they won). Each organization that could rally at least 50 supporters was eligible to win a prize of $500 – we apparently had enough supporters, and my folks received the check on behalf of The Refuge. David and Cooper are the flag-bearers in the very center of this photo. I must admit, I wasn’t very eager to go. The program was more than 2 hours in duration, and the school was a good half-hour from my home – surely I had better things to do on a Saturday afternoon? I was teaching Sunday School the next morning – this cut into my preparation time considerably. But a friend of our family and a long-time Refuge supporter had asked my son David to carry a flag, and it was very possible that I would be needed to make up the required count of 50 supporters, so I decided there was no easy way to get out of it. It is hard to say ‘No’ to a retired Colonel who has invested so much of his own time into the Refuge, and has been so kind to our family over the years. When we arrived, I was surprised and a little impressed at how many flags were there. It seems nearly every military unit in the 7th Division was represented, and there were dozens of community groups, including Boy Scout and Cub Scout groups, Chambers of Commerce, and Veterans organizations in attendance as well. So I took my seat behind my parents and settled in to endure the ceremony. While I was sitting there, I began to reflect on patriotism, and my emotional and intellectual response to the flag and the songs being played by the band. Patriotism is a tricky subject is our post-modern society, and it is further complicated by the fact that, as a Christian, my true citizenship is not tied to a particular earthly nation. Is my allegiance to Christ compatible with being a Patriot? If I was a German or Brazilian or Syrian man, would it be appropriate for me to be a Patriot? About halfway through the ceremony, a young soldier sang a rendition of the Pledge of Allegiance. Since we recite the Pledge as part of our weekly AWANA ceremony, it is something that rolls through my head more often than most adults. I’m not sure if public schools still recite the pledge – perhaps not in this left-leaning State where I live now, because of the ‘Under God’ component that seems so abhorrent to liberals. One phrase that was particularly stressed in the song was the final refrain of the Pledge: “… with Liberty and Justice for All.” I found myself considering the uniqueness of my nation as originally founded. Say what you like about the Founding Fathers, the majority of them were Christians, and those that weren’t, were well-steeped in Biblical knowledge. Baked into our national DNA is a firm belief that the Government is subject to God and may not trespass within the borders of religious freedom. Liberty is a strange word. It means release from jail for the prisoner, equality for a racial minority, and freedom of expression for others. It is a basic sense that, within reason, and with consideration of the rights of others, I ought to be left to pursue my own happiness without undue interference. And yet of the two words, I think ‘Justice’ is the more critical of the two words. Without Justice, Liberty only exists for the powerful and influential — yet Justice limits individual Liberty by its very nature. But what is Justice? Is there a universal standard that people can agree to? Without some transcendent standard (like the Word of God), Justice descends from its lofty place, to the sordid will of the majority at a given time. If the majority is in favor of slavery for people of a certain race, then that is Justice. If the majority votes to murder the unborn or the elderly or the sick, that becomes Justice. In recent years, corruption and hypocrisy seem rampant in political and financial circles. As political correctness continues to push God out of the public sphere, is Justice just a matter of taking a vote and letting the majority enact whatever tyranny it desires? What happens to the ‘for all’ part of the Pledge? As I drove home, I was sobered by the thought that the Liberty and Justice I often take for granted, is under assault from all sides. How long, I wondered, will we continue to enjoy Liberty, when the foundation of Justice is eroded and destroyed by those who say there is no God?